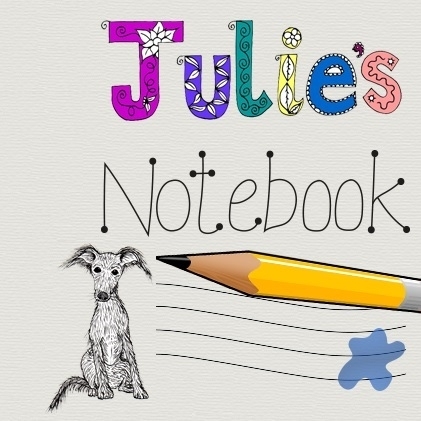 This might (or might not) be handy if you are looking for gift ideas for you Mum, wife or a girl friend. Some of these presents are things I want, some are things I already have. To start off a lovely little necklace pendant. 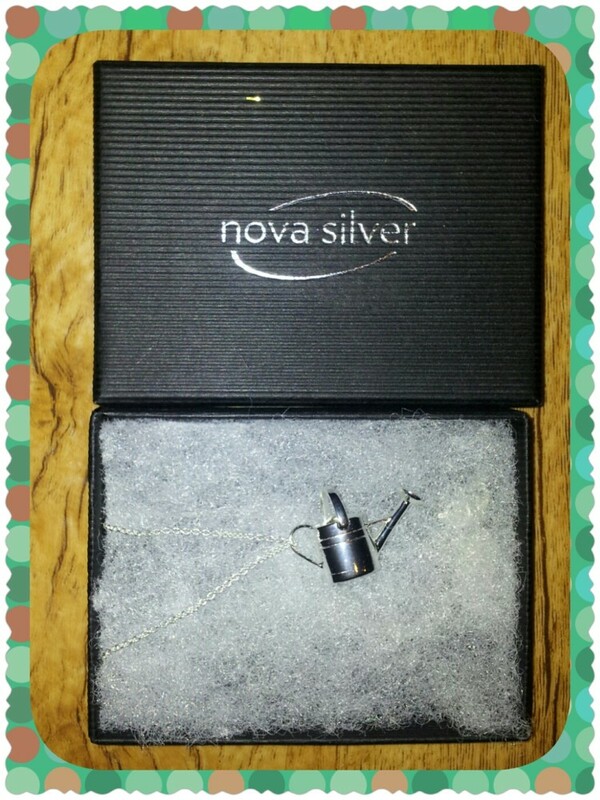 It’s from Nova Silver* and is about £30 depending on which chain you buy with it. £20 pendant. Chain and box extra. Quirky bath gifts like this bath bomb cracker from ToxicFox* priced at £7.99. FitBit flex. Around £50 – the price varies so get in a sale. Available at Argos. * If you’ve not heard of FitBit before they are little fitness tracker that count various things, heart rate, number of steps in a day, active and very active minutes and so on. You can even download an app called MyFitnessPal to hep monitor what you eat verses the calories FitBit has worked out you need. 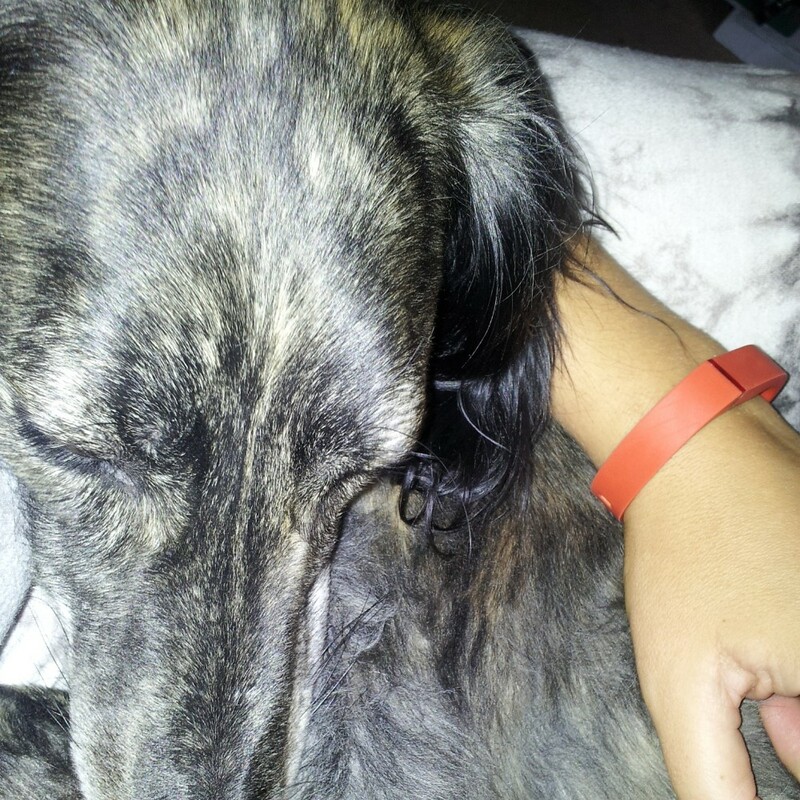 I just use mine as a posh pedometer but Blokey has linked his with MyFitnessPal and is losing weight. 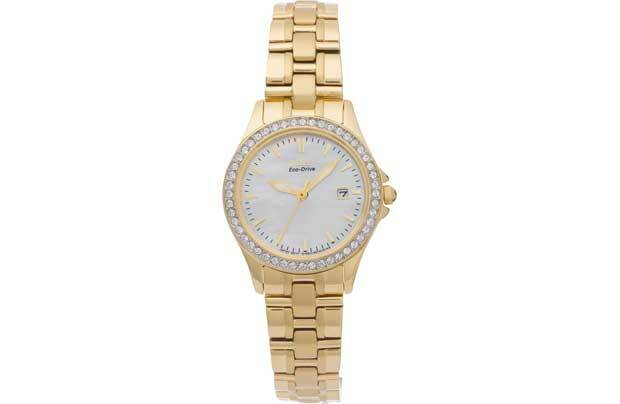 I would also quite like an EcoDrive watch. This one would set you back £130, so would be the only gift. I love the idea of a solar powered watch! Would be a bit more “me” if it was silver not gold. 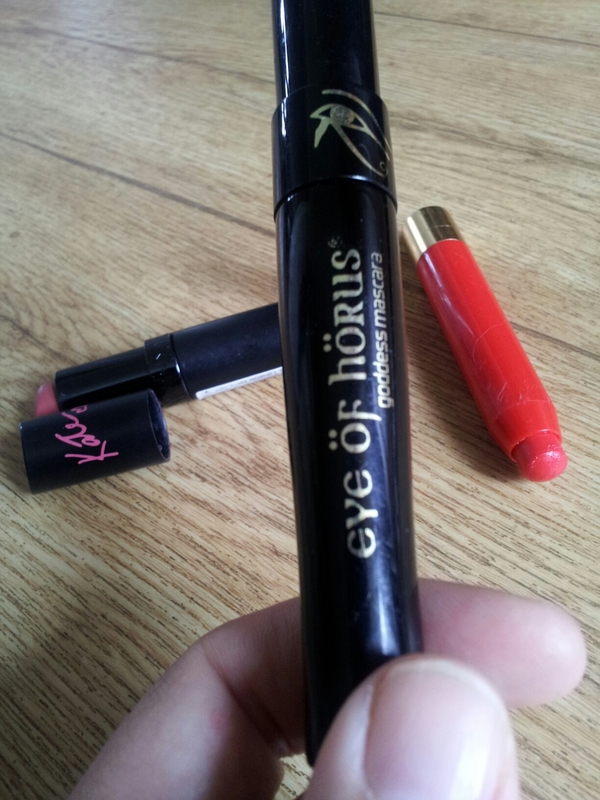 Eye of Horus mascara is £20 and available at BeautyBay. I reviewed this a few months back and I would give it as a gift. 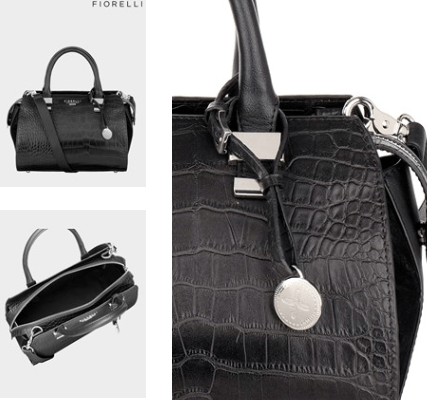 A lovely new Fiorelli handbag* might be nice please Santa? Big Hint! Such a classic gift, but a handbag is a personal item. Listen to the lady in you life, see what she already owns – choose something similar but different. A fiorelli bag from Lipsy. Anyway, that is probably enough wishing for tonight. Disclosure : items marked with an asterisk are either affiliate links or PR samples. Some tops ideas, I’m having a very DIY christmas this year. Everyone is getting home made gifts! Lauranne recently wrote… I understand… (warning this contains bad language! ).